Your Glock 19 is one of the most popular concealed carry weapons for a reason. It’s affordable, comfortable to lug around, and it packs a powerful 15+1 capacity punch. But when you’re trusting your life with a handgun, you don’t want it to simply be close to perfection – you want it to be flawless. For a number of Glock 19 owners, this flawless design was interrupted by Glock’s OEM sights. It’s not that the factory sights were inherently bad, they just didn’t go above and beyond to improve accuracy, precision, and target acquisition. The good news about owning a Glock 19 (or any Glock, really) is that you’ve got unlimited access to aftermarket parts that can improve your performance. And for a gun like the G19, which was designed for concealed carry, you want sights that do a better job of attracting your attention than the OEM sights. A bright color catches the eye. Today, we’re looking at some sights that will turn your compact pistol into a concealed carry masterpiece. Trijicon’s HD XR Night Sight set aims to maximize durability and target acquisition through its illuminated design, which is set up to immediately draw your eye to the front post. Unlike some of the other night sight sets out there, the HD XR is heavy duty and able to withstand repetitive drawing without wearing down. Also, sturdy aluminum cylinders built into the sight help protect the tritium-phosphor lamps from any damage that could happen while operating your gun. Another great feature about the HD XR which sets it apart from some of Trijicon’s other iron sights is the narrow front post, which is .022 inches thinner than other sights. While this doesn’t seem like a major change, it does help with making target acquisition faster by improving the shooter’s field of view. A narrow front sight means better eyes on your target. In terms of functionality, the HD XR does everything that iron sights are supposed to do and then some. 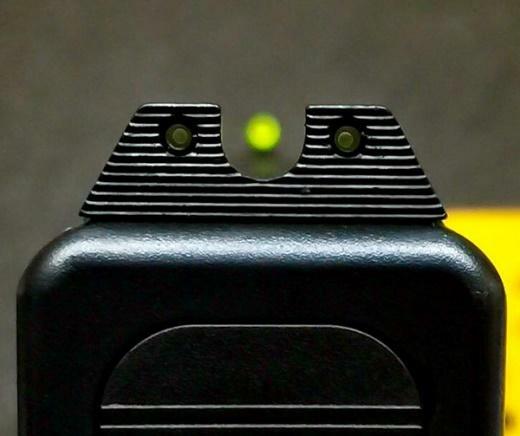 Zeroing in on your target is as simple as lighting up the front dot between the two rear dots, which is made easier thanks to the brightly colored lamps built into the sight. This attention-grabbing design makes it less likely for you to overlook the sights in a high-stress situation where your adrenaline’s pumping and you don’t have time to think before you react. The Big Dot is a popular choice for concealed carry guns because of its affordable price and improved functionality. Living up to its name, your front post is accented by an attention-grabbing white dot accompanied by a tritium lamp for shooting in a low-light environment. At first glance, the Big Dot has a simplistic design that doesn’t properly demonstrate just how well it stands out from your big-name sights. 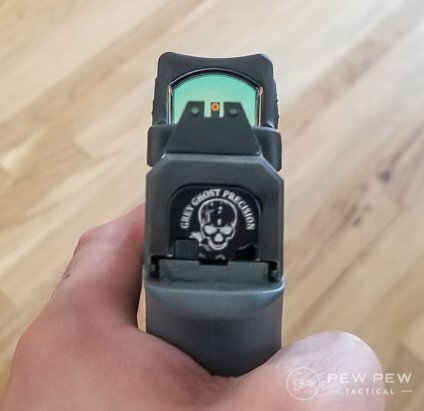 But the truth is that XS Sights put a lot of thought into designing the perfect concealed carry sights for the Glock 19 and other compact pistols. For starters, the Big Dot’s front post doesn’t have the same rectangular design that most sights feature. Instead, it has a smooth, convex design that’s slightly beveled down at the end. The function of this is to make drawing the gun smoother by reducing the chances of it getting snagged by your holster. 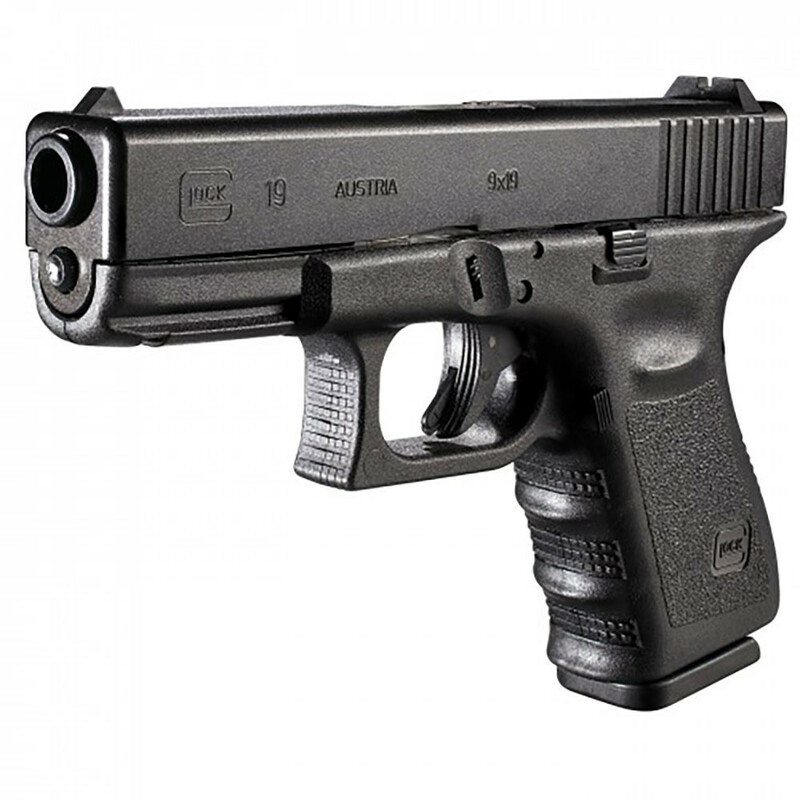 Easy-draw front sights weren’t an option that Glock seriously explored until they released the Gen5 model of the Glock 19. The Big Dot gives your Glock a sweet look. If you’re going to get a lot of range time in with your Glock 19, you’ll love the durability of the Big Dot sights. XS Sights go above and beyond what’s expected to ensure that your sights last you for years to come. They even opted not to paint on their white dots, choosing to use white PVC inserts instead so that the dot remains brightly visible over time. Ultimately, the Big Dot does a much better job of drawing your focus to your gun’s front sight, making the set much more effective than the plastic sights that came with your Glock 19. The white dot’s simplistic design is perfect for shooting any time of the day. Australian Special Air Regiment (SASR) member and all-around badass, Jason Falla, designed the popular RB1 Enhanced Combat Sights which have been causing a lot of commotion amongst circles of Glock owners. A great thing about the RB1 sights is the ability to choose between tritium or fiber optic front sights. Both designs help improve target acquisition in low-light situations, but the fiber optic choice is perfect for Glock 19 owners looking for a great pair of sights under $100. If there’s one thing you can say about the RB1 sights, it’s that they’re durable. Made from hardened steel and coated with a protective finish, you can bet your bottom dollar that these sights can handle more wear and tear than your OEM Glock sights. And as an added bonus, they make your Glock look great as well! The RB1 sights operate with a .125” wide front post and .215” tall front and rear sights. The benefit of this configuration is that it gives shooters a better field of vision, making it easier for them find center and engage targets up to 100 meters away. Finally, the chamfered edges of the RB1 prevent the sights from grabbing onto your garments, ensuring that you’ve got a smooth draw every time. And its anti-glare coating doesn’t just keep the sun out of your eyes, it also protects your sights from corrosion over time. Hackathorn sights are short, sweet, and to the point. 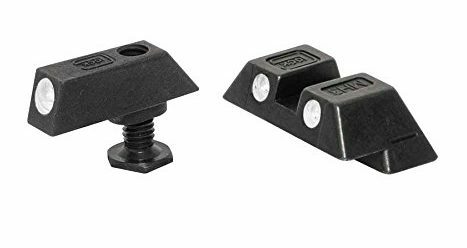 While Hackathorn sights are pretty basic when compared to other aftermarket sights on the market, they are miles better than the OEM sights that come with your Glock 19 (yes, even your Gen5). Hackathorn sights are a popular option for a number of Glock owners because of two factors: they perform well and they’re affordable. Front sights come with a tritium insert made by Trijicon, which helps with target acquisition in high and low-light settings. In addition, the Hackathorn sights are made from heavy-duty steel that’s more than capable of handling active use without wearing down over time. This, combined with their black nitride finish, helps ensure that your sights are durable enough to resist even the harshest of conditions. Got a suppressor, RMR, or want a super easy to see orange front sight? Check out the new player to the field…Night Fision. I got my hands on one in suppressor height that is super easy to acquire in the day-time and lights up bright in the dark. Also co-witnesses with my Trijicon RMR so I’m a happy camper. For a limited time only…Rainier Arms is offering 5% off and free shipping to Pew Pew Tactical fans on any Night Fision sight. Use coupon code “PEWPEW” (all caps) to get it now. Glock Night Sights (Factory, $75): 3 dot night sight that is so much better than the regular sights. These live on a lot of my home defense guns. What’s your take on the OEM night sights? AmeriGlo Fiber Optic Sight ($36): the most cost-efficient way to venture into fiber optics…note only the front is fiber optic but still great on a budget. TruGlo TFX ($95): Tritium AND fiber optic for the best of both worlds. They do a better job of attracting your eyes to the front sight, which is easy for the untrained shooter to forget to do in a high-adrenaline situation. They make it easier to see the target in a low-light setting. They prevent your sights from becoming hardily visible in low light. But does it matter which color that you choose? Some people claim that bright green is proven to attract your eye quicker than any other color. But in my experience, it’s the brightness draws my eye to the front sight – not the color. For me, it doesn’t matter what color my sights are as long as they’re bright enough to capture my attention when I’m aiming. 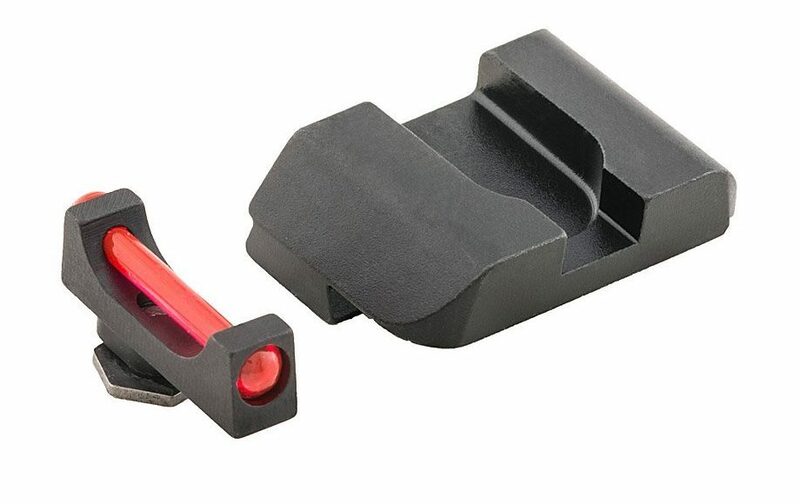 With that said, some people who use Trijicon sights like to have contrasting colors for their rear and front sights. 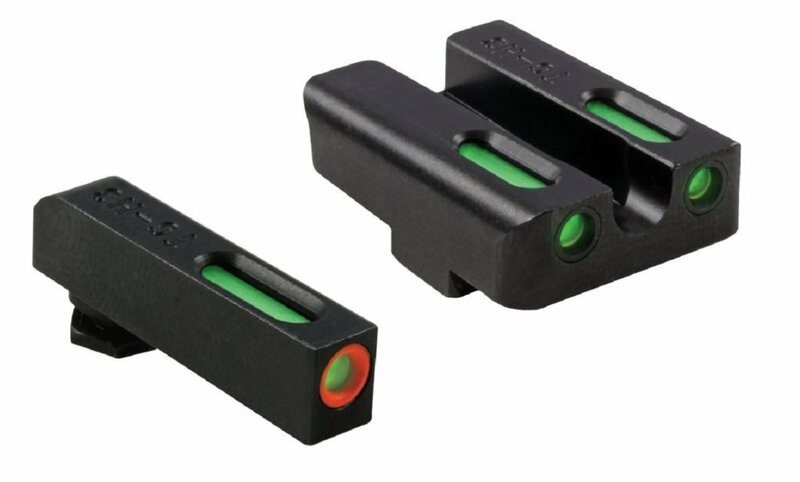 Their rear sights might illuminate orange, whereas their front sight has a bright, green dot. The idea behind this is that the contrasting colors make it more likely for the shooter to focus on the front dot in the middle since it’s a different color than the rest. Whether that works or not depends on the person. Glock’s factory sights don’t tend to live up to Glock’s heavy-duty reputation. As always, be sure to tell us about your favorite sights for your Glock 19 or any other concealed carry weapon that you’re toting around. 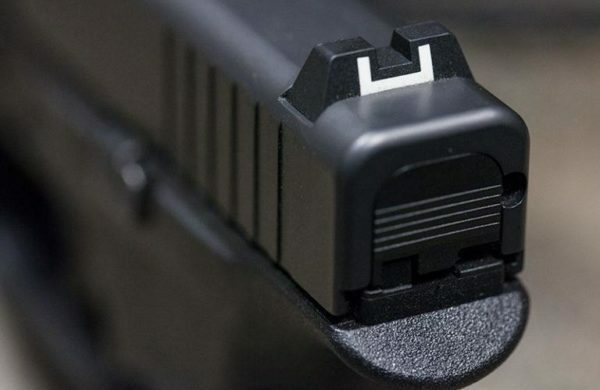 Also, let us know what you think of Glock’s OEM sights, and if you’ve had the pleasure of playing around with a Gen5, what did you think of their upgraded sights? And if you’re looking to purchase your first concealed carry gun and stumbled across here while doing your research, have a look at our comprehensive concealed carry guide covering holsters, guns, and other important facts regarding CCW. Glock sights come on and off pretty easily…check out How to Install Glock Sights Without a Sight Tool. But for those that still want a tool (if you have other handguns besides Glock), this Universal Sight Tool is great. What night sights do you run? What Glock? What other guns!? Let us know in the comments! Interesting! 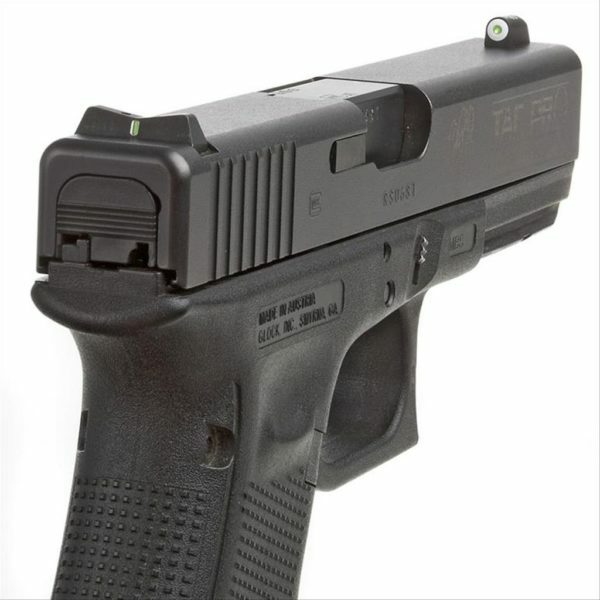 Would you be switching back to the Stock G19X front sight, but keeping the rear nightsight? 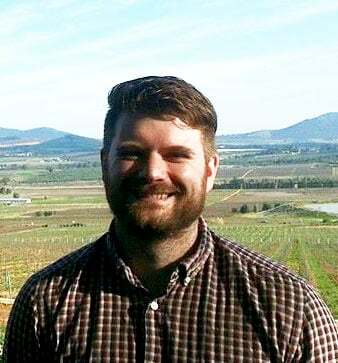 Absolutely love your site. Thanks for all of your hard work. I have no problem with your list and I’m happy to see that the XS Big Dots I have on my 19 made it to #2. If the title were best combat sites, I think XS would be #1. The extremely fast target acquisition at close range is the reason I put them on. Thanks again Eric and to the other contributors. 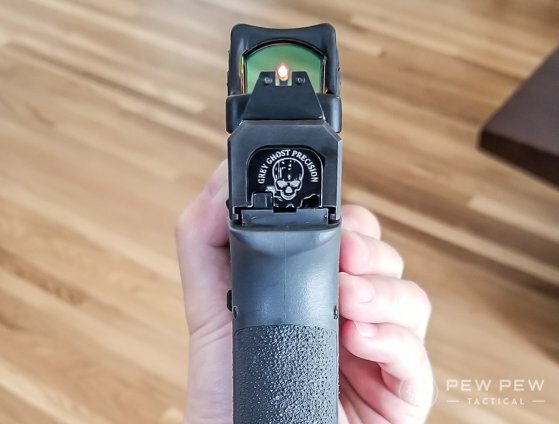 I’m surprised that you didn’t even mention the TruGlo sights, such as the TFX Pro sights which incorporate both fiber optics and Tritium, plus all the other features that you mentioned on the other sights. I have these on my Glock 19 and love them. And I only paid around $100 for them! You’re right…they are one of my favorites too.